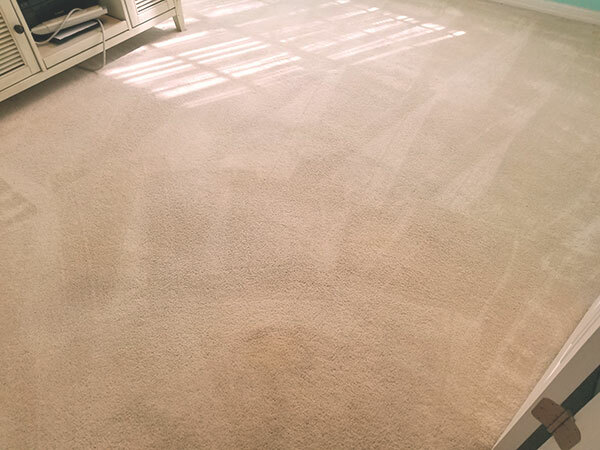 Looking for the best carpet cleaning in Tampa FL? It can be difficult to choose a carpet cleaning company. There are so many choices in the Tampa Bay area. We have been serving Hillsborough and Pasco counties for years. Our powerful green certified cleaning solution relies on the power of carbonation to remove the soil from your carpet. 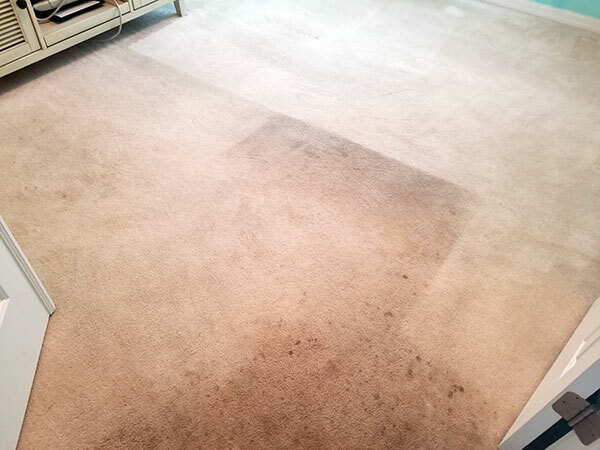 These before and after photos are from a recent carpet cleaning in Tampa FL. The home owner's dog had recently passed and she wanted to get her home office cleaned. There were some pet stains and general soils that were from the dog coming in and out of the room on a daily basis. Area rugs were also on the carpet to help minimize issues from frequent pet use. The rugs left distinct clean areas that protected the underlying carpet. A good Chem-Dry of Tampa FL carpet cleaning removed the harsh lines and heavy soil. We also used Chem-Dry's Pet Urine Removal Treatment (P.U.R.T.) to neutralize the pet urine in the carpet. It eliminates odors and removes stains associated with pet urine deposits in the carpet. In the end the home owner got the best carpet cleaning available in Tampa FL. For the best carpet cleaning in Tampa FL call Chem-Dry of Tampa.